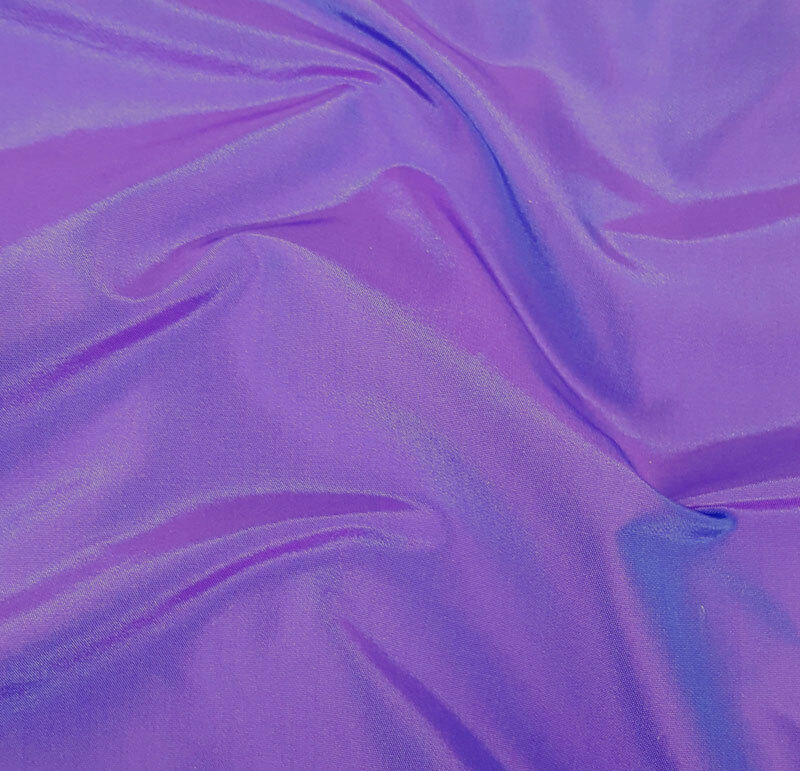 This 100% silk taffeta in Ultra Violet must be seen to be believed. Cross-woven in sky blue and amethyst, the color shifts from every angle. Great for the 18th Century, Victorian periods and beyond.